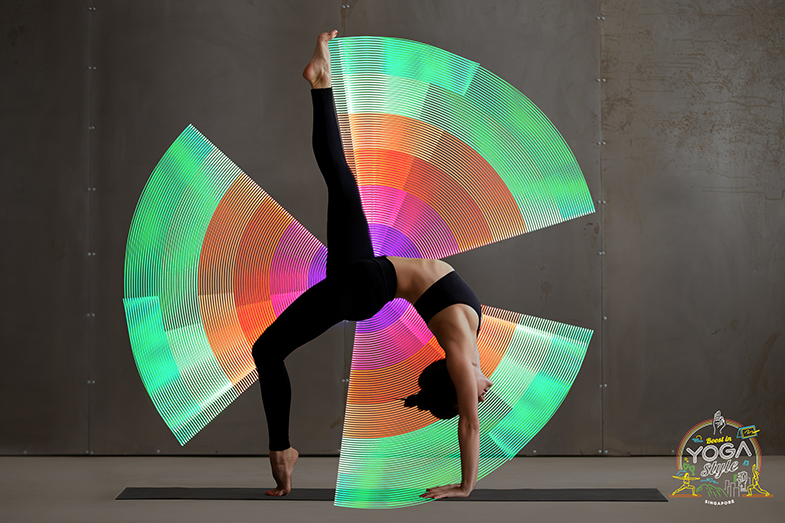 Lenovo YOGA and Pure YOGA are working together to create a fun, fitness party that combines 3 cities x Yoga x Light Painting, because we believe that everyone is unique in their own ways and is making their own mark in this world. We would like to invite you to join this event to discover yourself. Discover Yoga yourself, brought to you by Lenovo YOGA & Pure Yoga. In addition, you can also experience the perfect blend of YOGA and Light Painting. You can show-off your Yoga Pose in front of lights and shadows, take photos and share it with your friends! 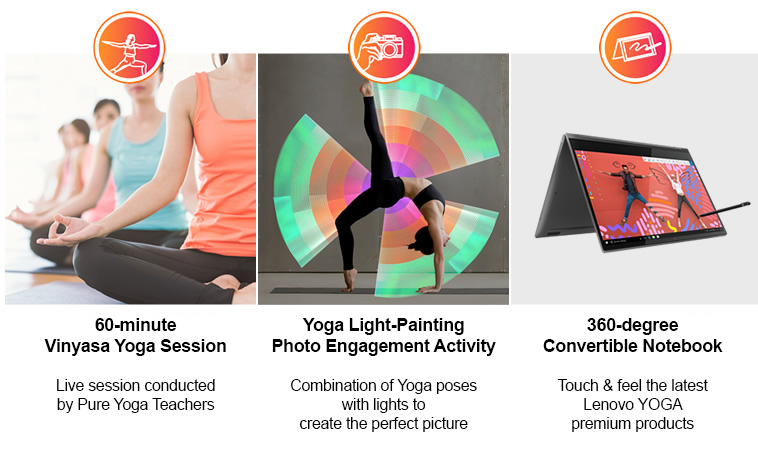 We will showcase Lenovo YOGA's latest product series, Yoga C930, Yoga S730 and Yoga Book C930, letting you experience the new breakthroughs of the YOGA series. For the first time, 3 countries - Hong Kong, Taiwan and Singapore's Yoga enthusiasts will challenge the Guinness World Record together by doing the Eagle Pose Stand. 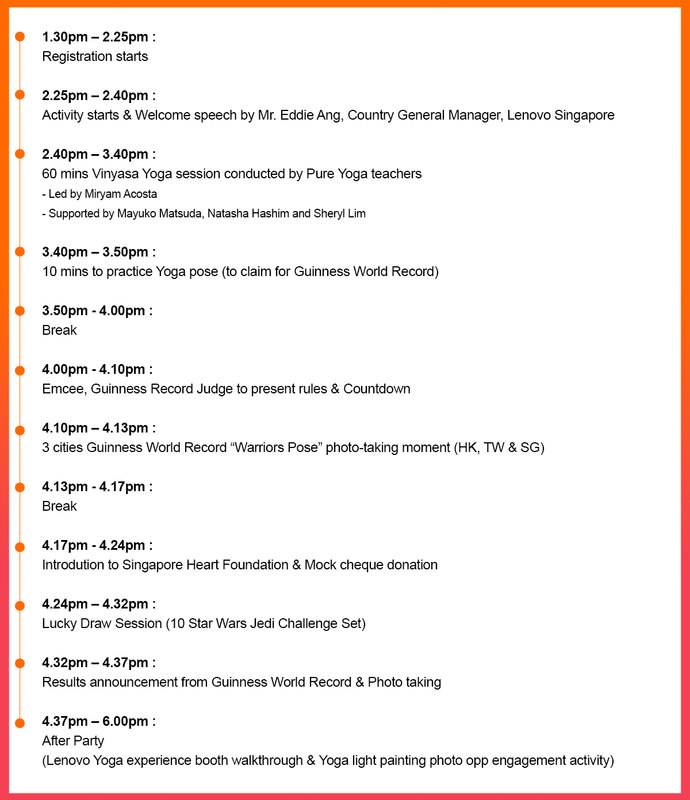 Lenovo Singapore, in celebration of the Lenovo Yoga x Pure Yoga Charity / GWR Event, will be pledging a donation to the Singapore Heart Foundation (SHF), to promote heart wellness in the battle against cardiovascular disease, and to raise funds for heart patients in need. 100% of ticket sales proceeds will be donated to the SHF for their important life-saving programmes. All registrations must be completed by 10th December 2018. Acceptance of Registration will be notified via email. If the event needs to be postponed for any reason, the organizer will inform the registered event attendees via email communication. This event is suitable for people aged 18 to 65 years old and is not suitable for pregnant women. The premiums giveaway pack is on first come first serve while stocks last. Please do not bring your valuables to the event, event organizer will not be responsible for the loss of personal valuables. To participate in this event, the applicant must ensure that the individual's physical health is indeed eligible for the event. If there is any accident due to physical discomfort, he or she is responsible for the event. In order to maintain the rights and interests of the applicants, the applicants shall not transfer the right to participate to non-registered persons after the deadline for registration. If any loss of rights arises, the parties shall be responsible for their own losses. This event does not accept refunds and will donate all SGD $30 ticket sale to Singapore Heart Foundation. Participants in the event agree to use the photos taken by the event to be used for the event and marketing and agree to the name of the event or the organizer to issue the lottery. The event or organizer has the right to broadcast, display or post the video, photos and achievements of the event on the event or on the host website and publications. Applicants must agree to the portrait and publish the results for the event-related promotional activities on. The organizer reserves the right to modify and terminate this activity at any time. Any changes or detailed notices will be posted on this website without prior notice.